I took a walk through one of the community gardens this morning in the light and refreshing summer sprinkle. 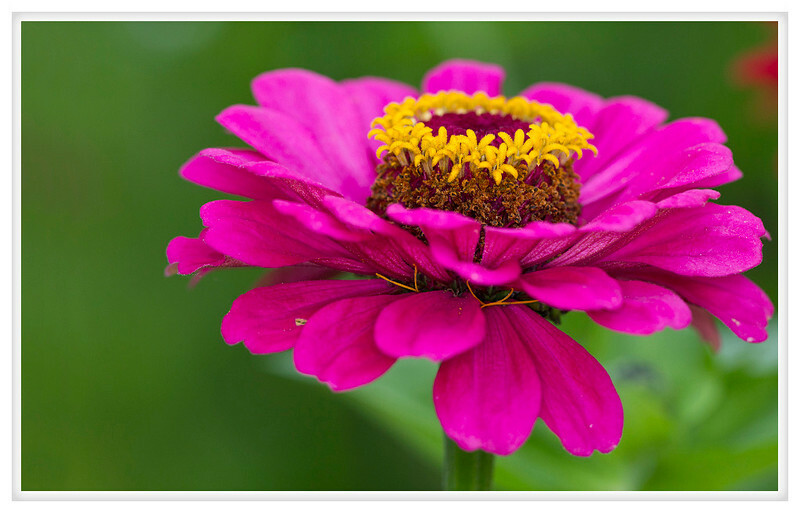 Everything is late this year but the upshot it that the flowers are still in full bloom and this zinnia caught my eye. That golden halo of florets looks like some sort of treasure nestles in a pillow supported by a flower.